Citizenship and Immigration Canada's (CIC) standards for letting people into Canada are constantly changing. CIC has recently moved forward with a concept of "high risk" nationals, from certain countries, who will face greater scrutiny. This is affecting both visitors to Canada and applicants for Canadian immigration. How Does the "High Risk" List Affect Visitors to Canada? 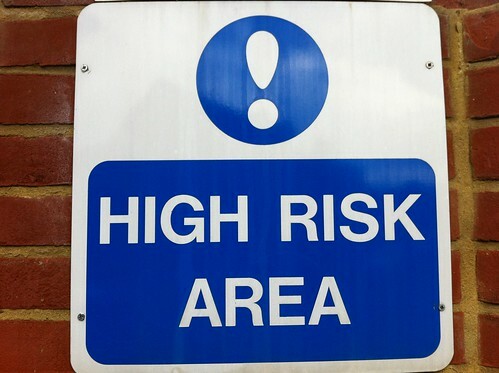 How Does the "High Risk" List Affect Canadian Permanent Residents? How Do You Know if Your Country is On the "High Risk" List? How Does CIC's List of "High Risk" Countries Affect Visitors to Canada? Visitors from these countries will be fingerprinted, regardless of whether you received a visitor visa, a study permit or a work permit. Because of the Western Hemisphere Travel Initiative, we can expect that this list will get longer in the coming years, so be prepared. How Does CIC's List of "High Risk" Countries Affect Canadian Permanent Residents? If you are from any of the countries listed above, or any other country CIC considers "high risk", and you are a Canadian permanent resident, you can assume that you are more likely to receive the residence questionnaire next time you are applying for a PR Card. Just because you are from a "high risk" country, this does not mean that you will automatically receive the residence questionnaire, but with this and other factors, the odds are greatly increased. You are also even more likely to the get the residence questionnaire when or if you apply for Canadian citizenship. The Canadian citizenship application residence questionnaire is even more frequently sent out and being from one of these "high risk" countries, means that you will likely get a questionnaire. We understand that it's hard to not to worry about receiving a questionnaire, especially for your PR Card, when it is not optional. But don't worry: As long as you have complied with the rules governing your permanent residence status, you are in no danger. Think of the residence questionnaire as merely an extraordinarily stressful extra step. How Do I Know If My Country is on CIC's List of "High Risk" Countries? The easiest way of telling, is by checking which countries' citizens have to provide fingerprints to CIC. But that isn't a complete list. Immigroup has learned of some of the criteria CIC uses to judge a country "high risk" through an audit of a visa office, made public by CIC. as well as possible foreign policy conflicts. That's a long list of factors that potentially covers more than half the countries in the world. And unfortunately that's as specific as the public information on the subject gets.